In 1935, Viktor Kos�rek, a psychiatrist newly trained by Carl Jung, arrives at the infamous Hrad Orlu Asylum for the Criminally Insane. The state-of-the-art facility is located in a medieval mountaintop castle outside of Prague, though the site is infamous for concealing dark secrets going back many generations. The asylum houses the country’s six most treacherous killers–known to the staff as The Woodcutter, The Clown, The Glass Collector, The Vegetarian, The Sciomancer, and The Demon–and Viktor hopes to use a new medical technique to prove that these patients share a common archetype of evil, a phenomenon known as The Devil Aspect. As he begins to learn the stunning secrets of these patients, five men and one woman, Viktor must face the disturbing possibility that these six may share another dark truth. It is 1935 and Dr Viktor Kosárek, a brilliant, born before his time, psychiatrist has landed himself a dream position in a notorious remote castle asylum in Czechoslovakia. The castle only had six inmates, the most feared, notorious and dangerous murderers of all time all under one roof. The asylum was revolutionary with its way of thinking and care of these patients, giving these six the best possible care. Viktor had a theory which he had gained permission to put into practice, he believed that each of the six were linked by a common factor, the devil aspect. Sessions are begun with each of the inmates being administered an injection to make them more compliant while he delves into what made these five men and one woman turn into the vilest murderers that the country had ever known. The Woodcutter, The Clown, The Glass Collector, The Vegetarian, The Sciomancer and The Demon each tell their story, which really brought the goose bumps out. Oh boy are these real sick people but their lives at one point had been normal so what made them go over the top? When Viktor accidentally pushes too far he gets a glimpse into the real cause and boy oh boy did my lights in the house go on!! This is a belting book, a huge read that I couldn’t put down. Craig Russell had me totally spell-bound with each of these murderers, fascinating and gory stories told in exquisite, glorious detail. Each with what they saw as a perfectly reasonable explanation of why they had carried out these crimes, well apart from the clown. Viktor began the sessions with what was deemed the least dangerous working up to the ultimate prize of the most feared. This book had a little of everything, past crimes, a new murderer on the loose and police investigation, a castle seeped in a dark and evil past and a village that feared the castle and its inhabitants. Among all this in the back ground is the changes that are happening for the whole country with Germany making its presence felt. This for me was the perfect combination of everything which left me feeling uneasy when it all came to an end. This is my sort of book I love, the after shocks I get that keep coming back to me and just make me look over my shoulder, just to make sure no-one is there. Loved it! Craig Russell’s novels have been published in twenty-five languages, four have been made into major films in Germany, in one of which he has a cameo role as a detective. 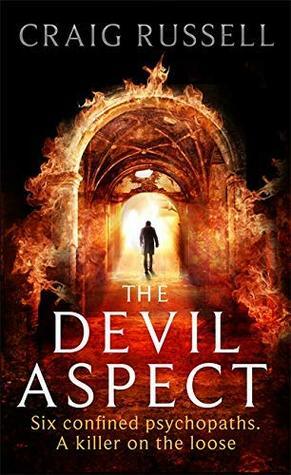 He has won the CWA Dagger in the Library and the McIlvanney Prize, for which he has been shortlisted another twice, and has previously been shortlisted for the CWA Golden Dagger, the Ellis Peters Historical Dagger, and the SNCF Prix Polar in France. A former police officer, Craig Russell is the only non-German to have been awarded the Polizeistern – the Hamburg Police’s Police Star. Wow, sounds great! Love Czechoslovakia. Loved this book, stunning read.